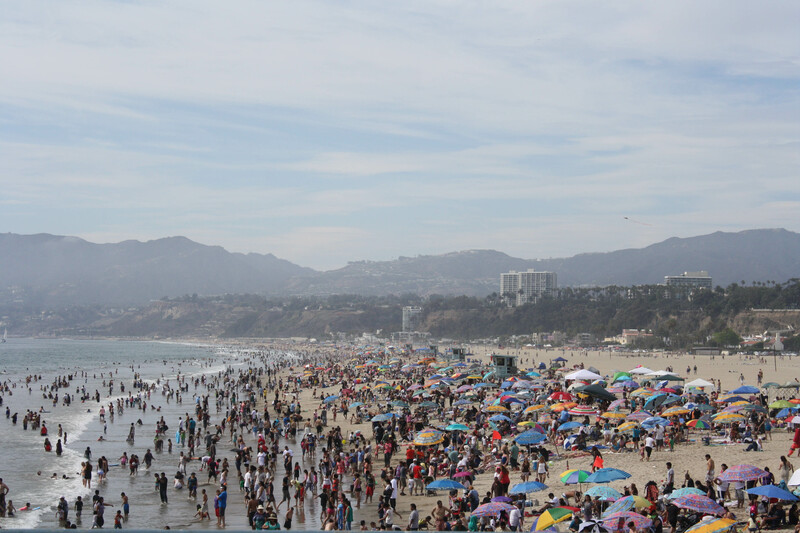 The Santa Monica Pier was a cool sight to see. 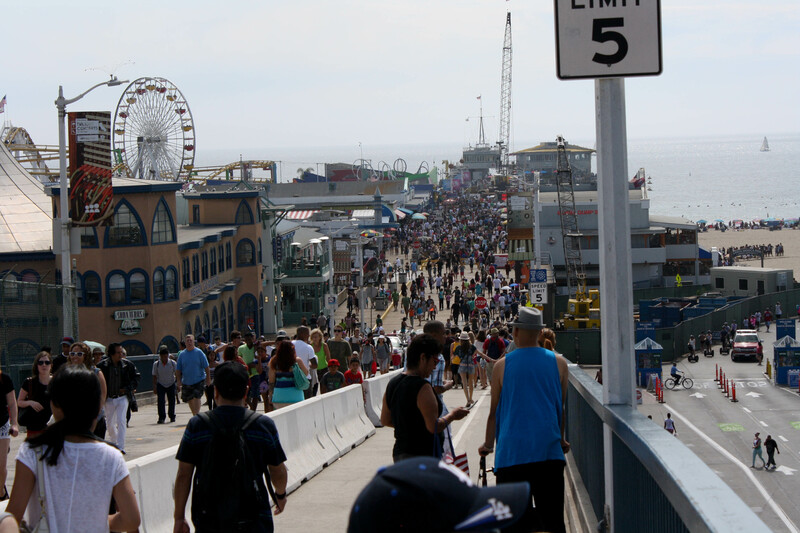 When we arrived on Labor Day, it was packed. The people looked like ants. The amusement park on the Pier was huge and free to get into, but you had to pay to go on the rides. The ferris wheel was $5 a person. Well worth the price! 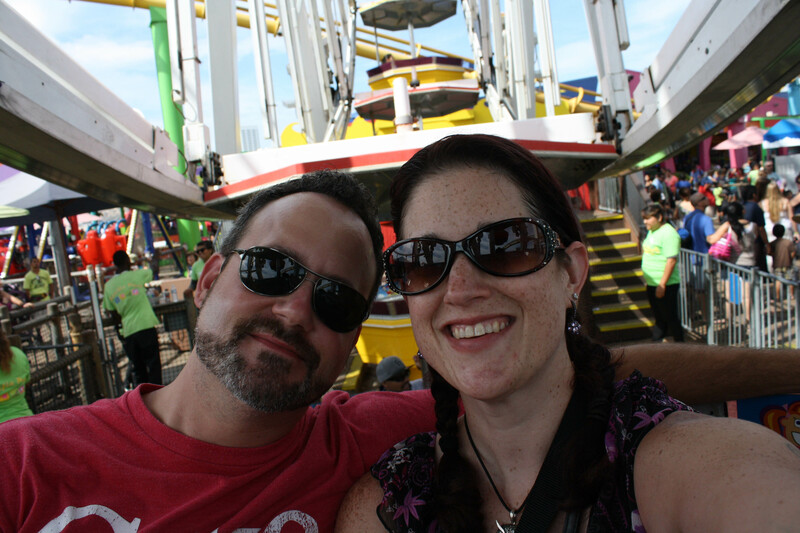 The Ferris Wheel was humongous, the world’s only solar-powered Ferris wheel and more than 130 feet above the Santa Monica Pier! It was just as terrifying as it looks! But I’m glad Michael and I did it! We tried to do it again on the last night to see the sunset from the ferris wheel but it was closed by the time we got down there. I’m equal parts relieved and disappointed! 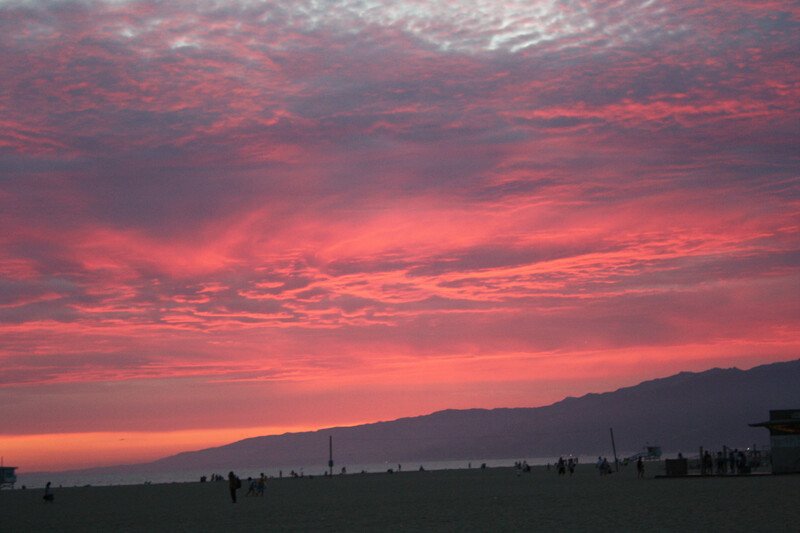 Venice Beach was much more chill than Santa Monica. Kind of a hippie vibe, low-key and less crowded. 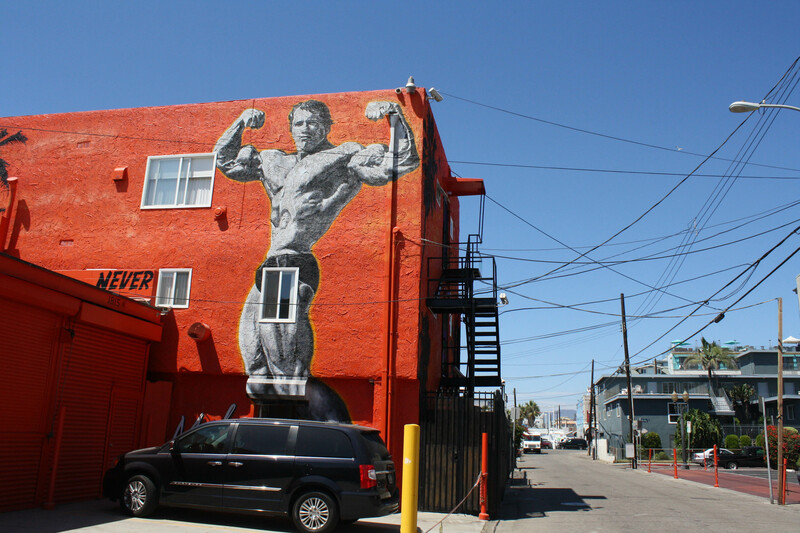 There weren’t as many touristy things, which was fine, but there was still tons of “muscle beach” type activities. There was even an outdoor gym with tons of weight machines in the middle of it! I kind of wish I’d known and been able to work out on the beach. The beach was nice and much less crowded. I’m sure part of that is that we were there in the middle of the week after the holiday. 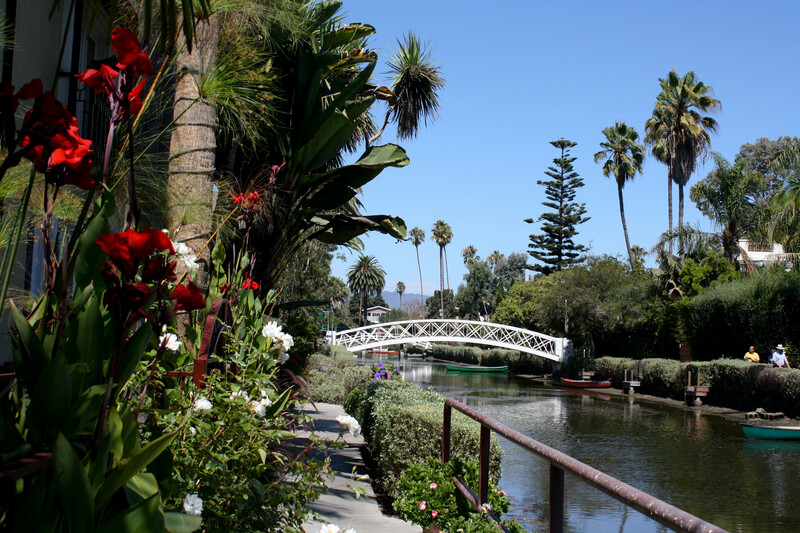 The Venice Canals were a fun thing to visit too. It was close to the beach and we walked a lot of it. It was just kind of a low-key, casual stroll along the canals next to some really nice houses. 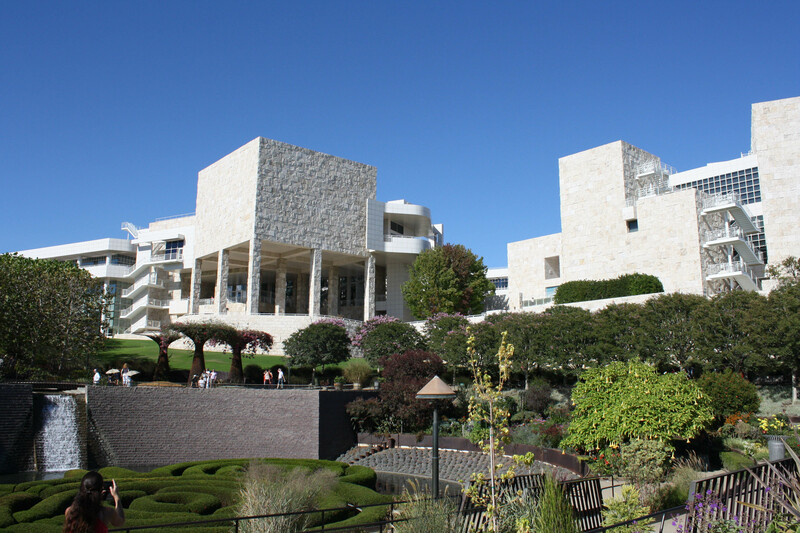 The Getty Museum was by far the favorite of the trip. I am so glad we made it there. The museum is free, you just pay $15 to park. That is a steal! You get so much out of the visit, it’s totally worth it. 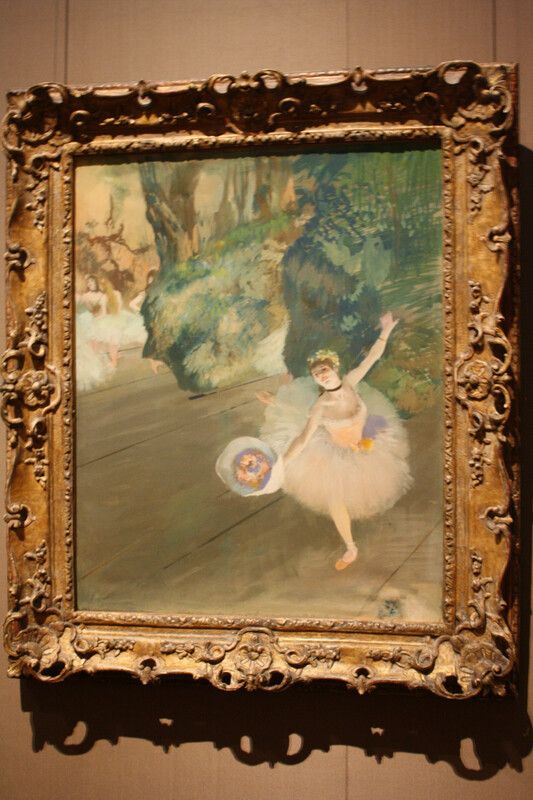 The museum itself is a work of art. As you drive up the freeway you can see the massive building built onto the top of a hill. You park down below and take the free tram (which was kind of fun) to the top. They give you a map of the buildings and you could spend all day there. We spent about four hours walking around. The buildings and grounds were just so pretty and the treasures inside were fun to see. There were several three story buildings and you just worked your way around to each exhibit. 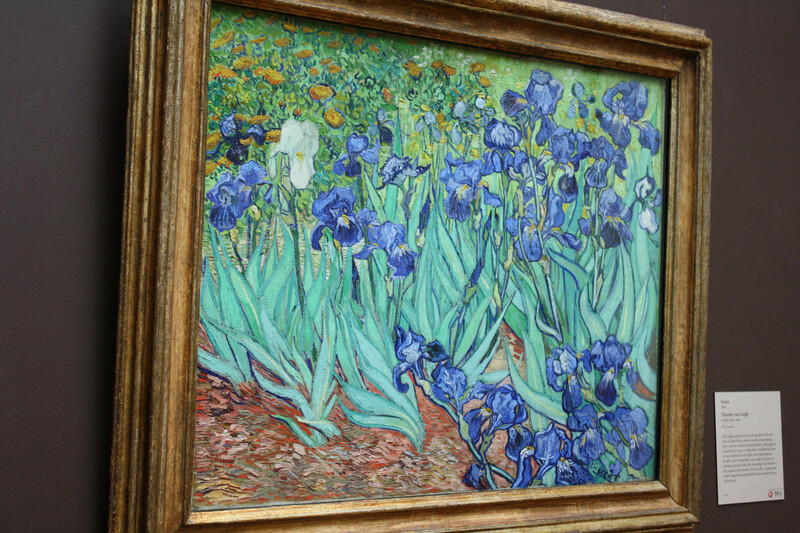 It was amazing seeing some famous paintings that I’ve only read about in books. There was also a beautiful, massive garden with a hedge labyrinth and also amazing views of the valley below. Please don’t miss out on this amazing museum! 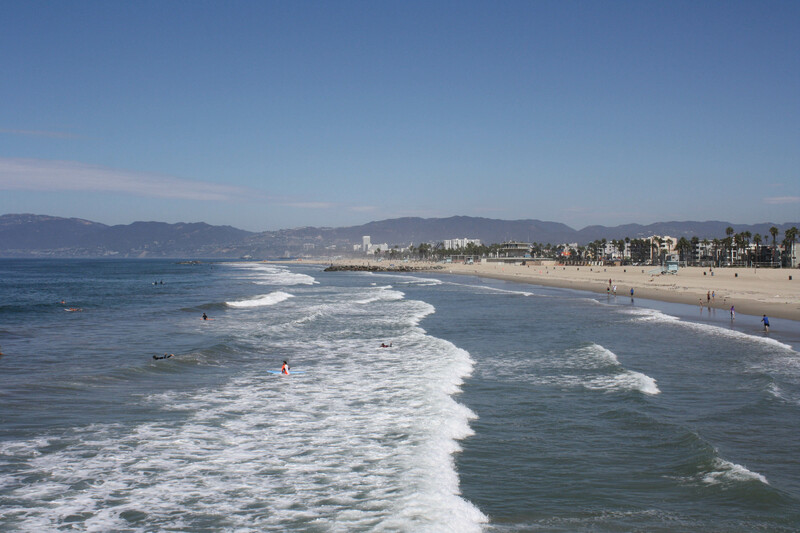 After checking out of the hotel in Santa Monica, we drove down the coast for a bit seeing some of the beach towns as we made our way to LAX. Marina del Ray was pretty but Manhattan Beach was a very cool looking town. 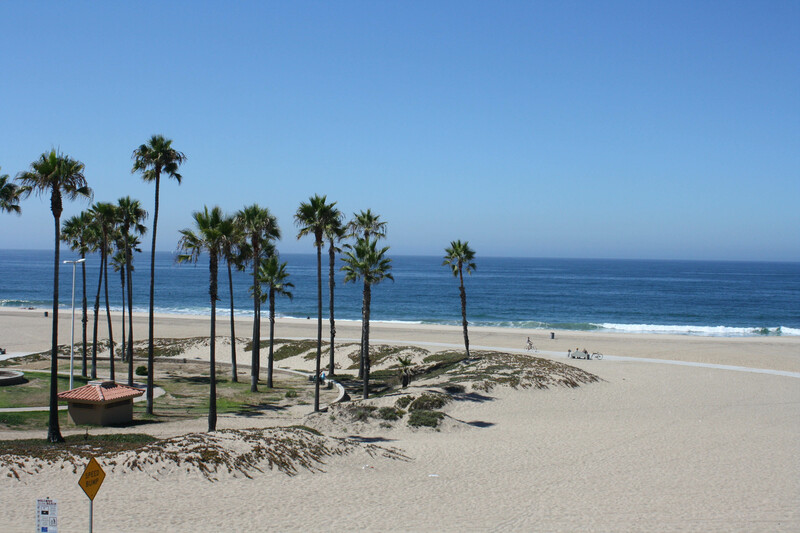 I wish we’d had more time to explore Manhattan Beach because it looked so quaint! 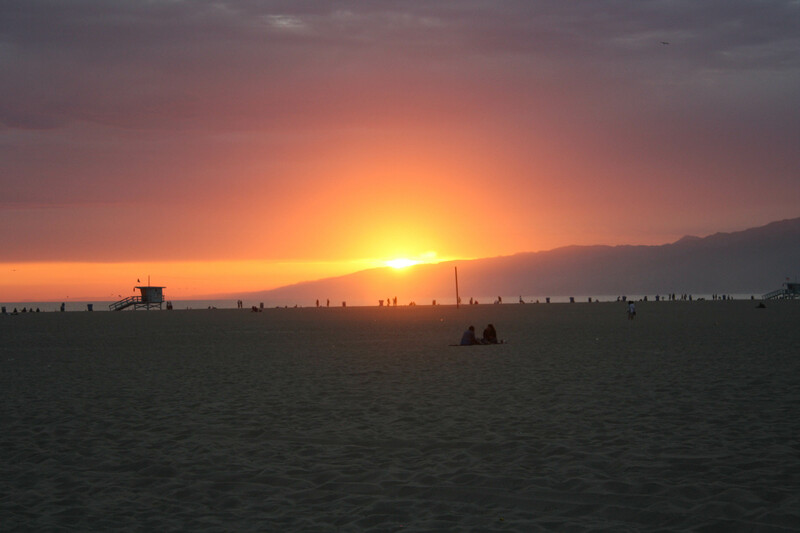 I think if we had known ahead of time, I would have stayed in Manhattan Beach instead of Santa Monica. Michael and I stopped at Playa del Ray and walked on the empty beach for about an hour. The sand was soft and hot, the waves were a little chilly, and we just enjoyed being the only people on the beach for a change. The California Coast was my favorite part of the trip. 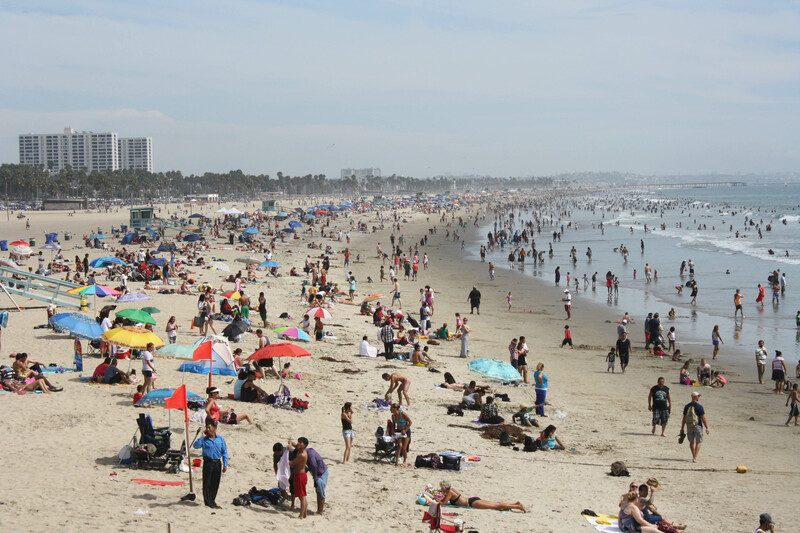 Knowing what I do now, I would have spent less time in LA and more time beach-hopping! 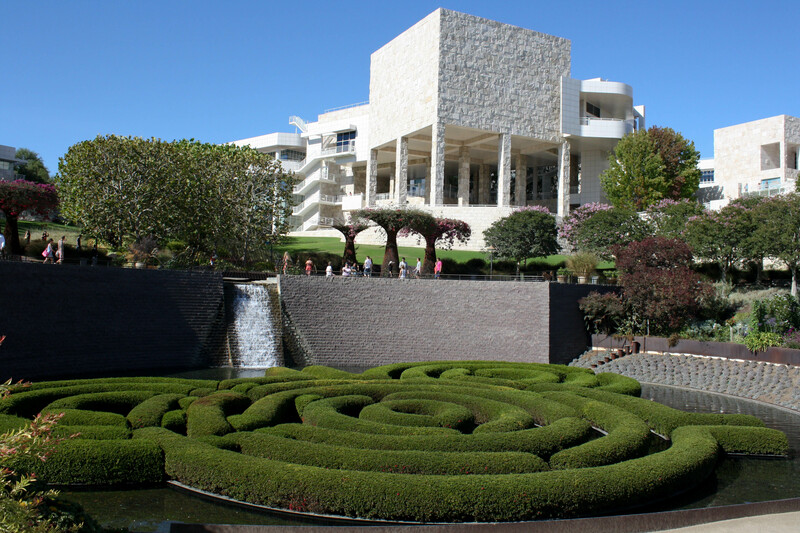 QUESTION: Have you been to the Getty Museum? Isn’t pier where they filmed Sharknadao? Errr, ummm, never mind. Looove all your pics. I’d love to visit there in-between earthquakes. When we were in line for the ferris wheel they took a picture of us in front of a green screen and it was Sharknado! But to buy the photo it was almost $20. No thanks! Now this post made me really homesick. 🙁 Thanks for all the nice beach pics. I was relieved to see that you didn’t make your whole trip about LA/Hollywood, it can be pretty icky. 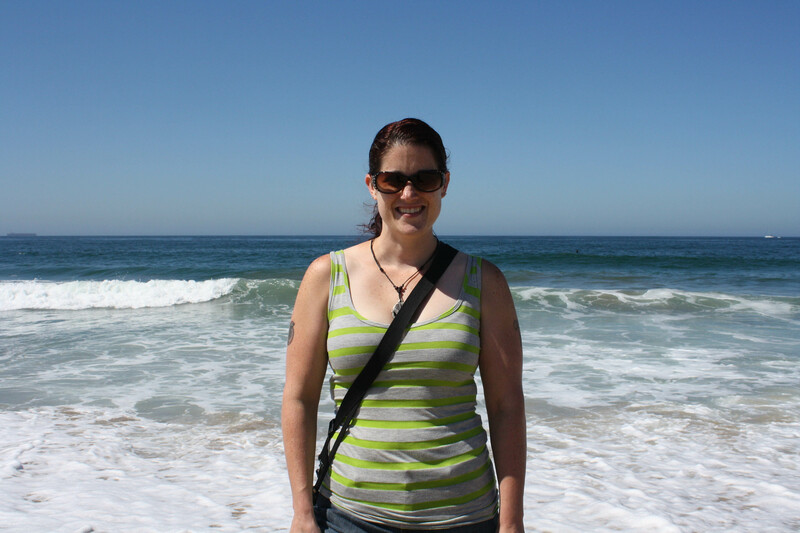 I can’t believe I lived in SoCal (Long Beach) for 35 years and rarely went to the beach. Sure we went a lot as kids, but as an adult, I rarely went. I drove by it almost daily and never appreciated it. Now that we’re so far from the coast I miss the ocean so much. People up here always say, oh but the coast is only 2 hours away! I was 10 minutes from it almost my whole life so 2 hours seems way too far to drive to the beach. I feel fortunate to have grown up there though. After living in the PNW I totally get why people long to move to California – sun, sun, sun! But the only way I’d go back is if I won the lottery and could afford a house with an ocean view. But it’s gorgeous up here, plus I do enjoy having seasons other than summer and fire. As kid it completely sucked when it was 85 on Thanksgiving or Christmas! Thanks for sharing your trip!!! Nope! We planned our trip so that we’d see as much LA stuff when we stayed in Hollywood and saved the other stuff for the beaches. I understand what you are saying. You don’t know what you have til you don’t have it. When I lived in Seattle I thought I’d go to the Oregon Coast all the time if I lived in Portland! Then I moved here and I’m lucky if I get to the beach once a year. It’s sad, really, because it’s less than 90 minutes from Portland. San Francisco is fun. I definitely want to go back again some day! I’ve been to the main Getty Museum, but I’m dying to go to the Getty Villa! They have so many fascinating collections. It was interesting to me that the lighting is set up so that it is constant – the louvers on the roof move and artificial light comes on and off as needed to make sure that the artwork is seen in the same light constantly. I was SO BUMMED we didn’t get to see the Villa! It was closed for the few days we were there. Yes, the lighting in the Getty was amazing. All of my photos turned out great and it wasn’t too dark. Deb recently posted..Wednesday Day 697 Old Points? The gardens were amazing. I was blown away by all of it honestly, and if I was in LA again I’d go back. 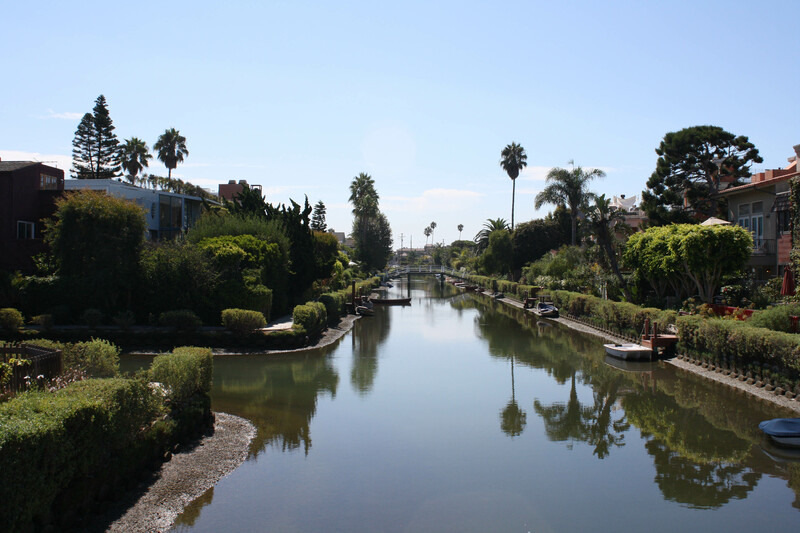 Oh wow I didn’t even know about the canals in Venice Beach until you mentioned it. 😛 Thanks for this post. I miss home too! The only reason I knew about them was from movies! 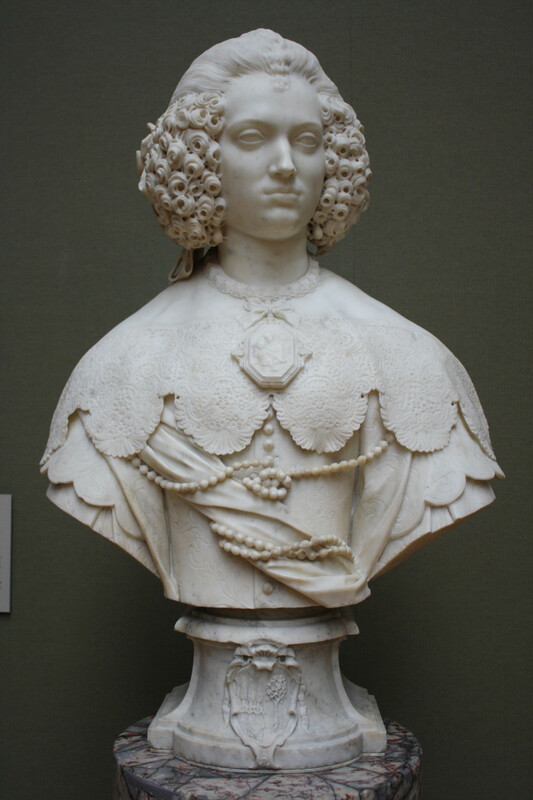 I’ve never been to the Getty Museum, and I have never explored the beach towns around L.A. I definitely want to do that one day. The Getty Museum was easily in the top 3 of the trip! California is so beautiful! San Francisco is a great city to visit. I’d love to go back to San Diego some day. I went as a kid and barely remember it. I LOVE THAT AREA TOO. I do need me a weekend get away…. I’ve only ever heard good things about San Fran so will have to get there one day, sooner rather than later. Wonderful pics as well, keep it going.